Cancún Riviera Maya, a one-of-a-kind beach destination and elite resort zone in Mexico, offers a diverse array of activities and sites for tourists and history nomads. From its world-renowned white-sand beaches to those ancient scenic ruins and unique cenotes, Cancún México is the ultimate Mexican tourist destination that offers an opulent urban feel with a glimpse of a serene small-town vibe. Cancún’s scenic coastline stretches from Puerto Morelos to Tulum, which makes it a perfect destination for beach lovers looking for a sun-kissed pristine setting to unwind. 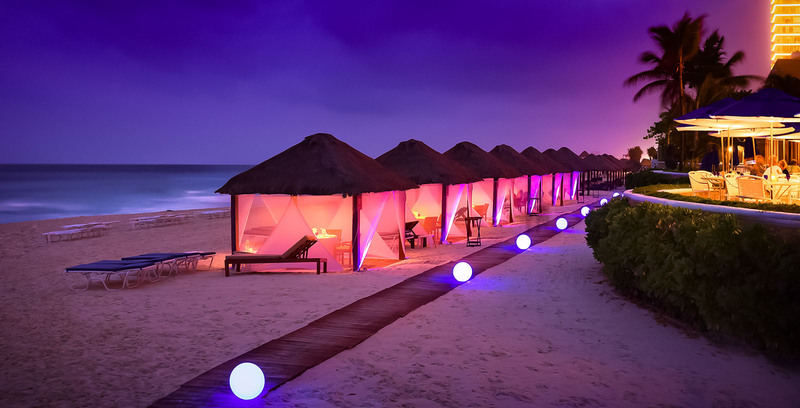 The town, however, is growing way too fast with the increasingly high demand of all-inclusive resorts, especially in this Yucatan Peninsula’s tourist corridor. That being said, Cancún still holds a scenic laid-back charm that most coastal Mexican villages offer. While in Cancun, visitors will find a bountiful things-to-do ranging from cultural Mayan ruin tours to unique beach activities. For adventure seekers, there is more such as the famous pristine cenotes. These cenotes or the swimming holes are something that you will not find elsewhere. A day trip or a scenic excursion around the area is another great way to explore Cancun’s hidden treasures in a picture-perfect beach setting. While diving, snorkeling, and swimming are the most popular beach activities, scuba diving, cave diving, and underwater coral reef sighting are gaining popularity lately. Culture and history buffs may start their trip from Valladolid to witness the Chichén Itzá and take a guided tour to the ruins at Cobá, El Meco Cancún, and Tulum. A stop at the Museo Maya de Cancún, a museum that exhibits famous Mayan artifacts and archeological displays, is a highly recommended site too. The jungle-shrouded paths leading to the ruins are no less than an adventurous journey offering some fascinating vantage points throughout the trails. Visiting these Mayan ruins will give each holiday-maker a perfect insight into the México lifestyle with a hint of the local culture. To experience history, which is a living thing here in Cancun, and to witness an opulent modern life, travelers should spend more time here on the Yucatán Peninsula and travel through the countryside. For every visitor and explorer, there are so many things to see, do and experience here that cannot be just confined to a getaway with Mayan ruin tours, angelic sandy beaches of Playas México and a posh nightlife. For bacchanalians, adventure seekers and beach lovers, and people aiming for a desire living México post-retirement homes, México real estate have a plenty of investment opportunities. Whether to live, invest or retire in Mexico, Cancún Riviera Maya offers a variety of properties including vacation rentals Cancún, apartamentos Cancún and colonial homes in Playas México. Real estate investment México ranges from beautiful beach-front properties in Playa del Carmen, old colonial homes in Cabo and Rivera Maya to the vacation homes in Cancun and Cabos San Lucas. The real estate outlook in Riviera Maya has an inviting future because of its beautiful location, growing resort business, and geologically rich site with abundant natural resources. 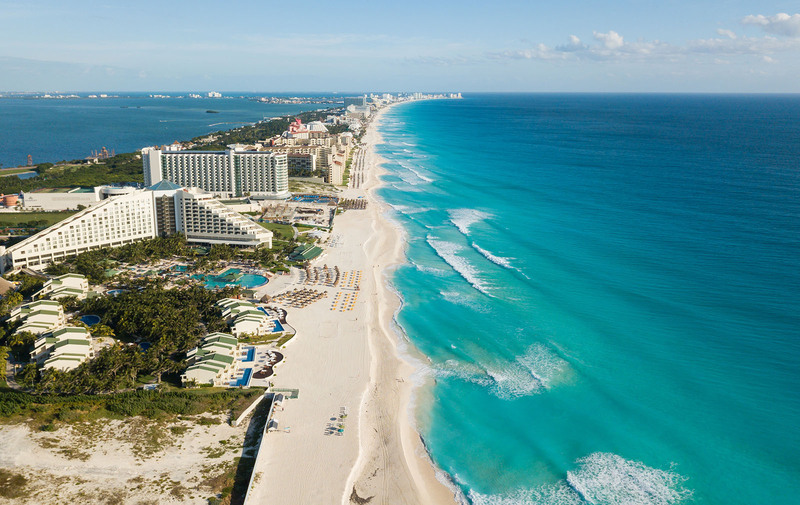 With its cultural heritage, welcoming civilization and year-round sunny climate, Cancun becomes a wonderful vacation destination and a prospective retirement haven for many. Plus, Cancún Riviera Maya is within the list of Sotheby’s destinations México for real estate investments. With Sotheby’s International Realty team, buyers and investors can find an ample of investment and lifestyle options the Riviera Maya has to offer.